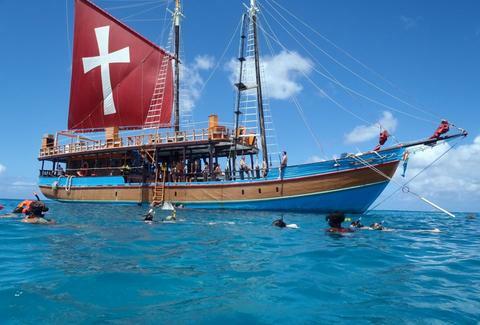 Though it's named after the famous skull and crossbones flag, the 100ft Jolly Roger "pirate" ship in Barbados isn't interested in buried treasure... only booty. This bad boy is a non-stop party boat with a deck for conga lines, a huge rope swing, and a bar filled with barrels of rum. This video is so wonderfully cheesy. Listen to that music! Before heading out to sea from Bridgetown, start the party at the onboard bar. 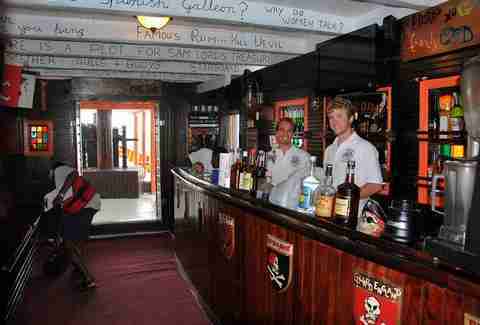 They've got a "world famous Jolly Roger Rum Punch" and, for your entertainment, quotes written on the ceiling. It's just like your go-to college bar's bathroom! Only carpeted. 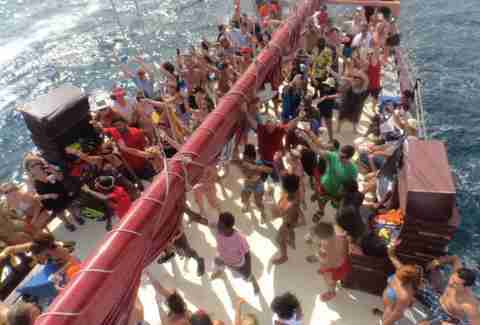 Party cruises offer unlimited booze, a BBQ lunch, multiple swimming stops, and multiple opportunities to reveal yourself as "that guy" to the other passengers. 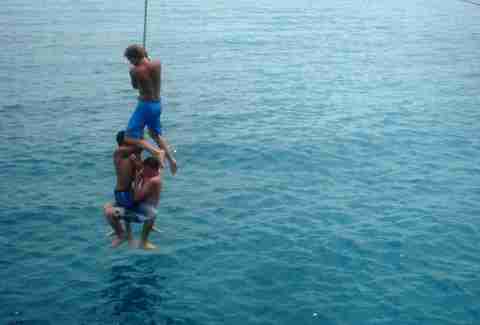 After drinking a limited sampling of said unlimited booze, you will be rope-swinging with multiple strangers. After you eschew the BBQ and, subsequently, are high on Mai Tai, walking the plank with your hands tied together may seem like a pretty good idea. 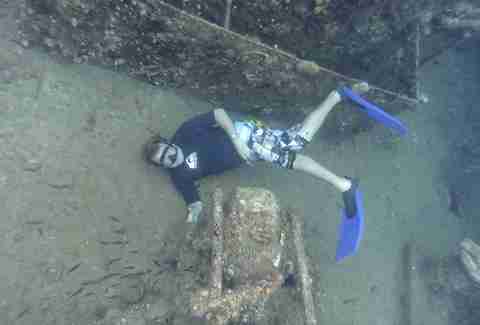 Snorkel around multiple shipwrecks in Carlisle Bay, trying your hardest not to look like an idiot posing underwater [NB: It is actually impossible to not look like an idiot in underwater photos]. Now this guy, on the other hand, knows how to pose underwater. 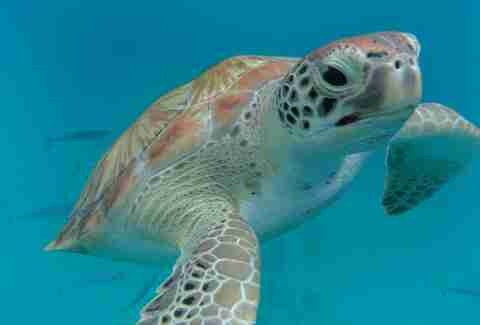 Point your camera and snap away at him and other loggerhead turtles at a sea-creature feeding stop. Sunset cruises get started with a dinner and unlimited Barbadian cocktails, then degrade into shenanigans such as limbo dancing, fire eating, and an interactive show with the "Town Cryer" and "Mother Sally". Oh, and plenty of booty... shaking. Booty shaking.